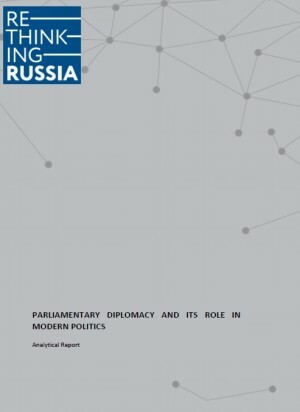 The first Development of Parliamentarism International Forum was held in Moscow June 4-5, 2018. It brought together over 500 people from 96 countries. The Forum did epitomize such a rapidly expanding format of global interaction as parliamentary diplomacy. It can hardly be regarded as a new format of international cooperation, but it has acquired considerable relevance in recent years.